Finish iPhone 7 vs Samsung Galaxy 7 review and get ready to upgrade to iPhone 7? 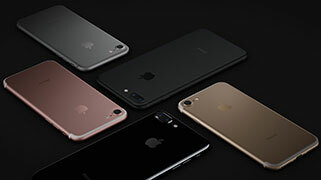 The iPhone 7 pros review indicate that the new Apple devices come with a slew of excited features like new black and jet balck colors, dual camera system, 258GB capacity, Li-Fi tech, multi-touch 3D Touch, Force Touch Home button, waterproofing, AirPods etc. But which to choose, iPhone 7 or larger 7 Plus? Which will suits you better, as Apple will always roll out two different-sized iPhone, iPhone 7 or 7 Plus? In fact, the display size is not where the difference between iPhone 7 and 7 Plus ends and there is a good reason for the higher price of iPhone 7 Plus. Before you make your choice, check the iPhone 7 vs 7 Plus review where we compare iPhone 7 and 7 Plus specs like size, camera, battery life and performance etc. Before iOS 11 update on iPhone 7/Plus, you will need to backup old iPhone 6S/SE/6 etc. If you have trouble to use either iTunes or iCloud to make a backup of your old device, here is a more easier way to backup iPhone 6s/se and transfer to iPhone 7/Plus. MacX MediaTrans, a well-designed transfer app for iPhone 7 (iOS 10/9), to backup data from old iPhone 6s/se, including music, playlists, audio, pictures, photos, videos etc to computer (windows 10/macOS Sierra) and transfer to iPhone 7/6SE by simply drag and drop. iPhone 8 and iPhone X won't be available for order until October. Below we will compare iPhone 7 and 7 Plus in detail, including those that users care most like size, camera, battery life, price and more. Check the difference between iPhone 7 and 7 Plus below to see if you want to pay extra money for the large iPhone 7 Plus, stick with the smaller version or waiting for upgrading to iPhone 8. Actually, there is no big difference of 4.7'' iPhone 7 and 5.5'' iPhone 7 Plus on design. They both discard the 3.5mm headphone jack on appearance. And up to 5 colors are available to choose, including new black and jet black. It's worth mention that jet black is exclusively available in 128GB and 256GB models. Latest review: iPhone 7 VS iPhone 8, iPhone 8 vs Samsung Galaxy S8 , iPhone X vs iPhone 8, iPhone X vs Samsung Galaxy S8, iPhone X pros and cons. Both iPhone 7 and 7 Plus both come with next-gen processor, A10 Fusion chip. The improved processor makes iPhone 7/Plus 2 times faster than iPhone 6s/6s plus. But compare iPhone 7 and 7 Plus, they are different in amounts of RAM. The smaller 4.7'' iPhone 7 may ship with 2GB of RAM, while the larger 5.5'' iPhone 7 Plus comes with 3GB RAM. Follow to speed up iPhone if it's slow. On the aspect storage, iPhone 7 and iPhone 7 Plus have the same storage capacity, from 32GB to 256GB. They both abandon the lower 16GB storage. Yet, recent test shows that the 32GB iPhone 7/Plus deliver poorer performance than 128/256GB iPhone 7/Plus. 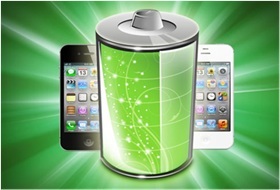 If you encounter the same issue, you can consider to upgrade iPhone storage from 32 to 128/256GB. While both iPhone 7 and iPhone 7 Plus will have larger camera, camera is going to be a big difference between iPhone 7 and 7 Plus. 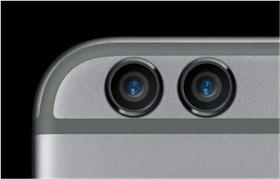 According to 2016 Autumn Apple event, iPhone 7 continues single-lens camera of 12MP for 5X digital zoom, while iPhone 7 Plus features with dual-lens of 12MP wide-angle and telephoto cameras for 10X digital zoom. Meanwhile, the iPhone 7 Plus vs iPhone 7's gap in camera can be large as the dual-lens system will provide DSLR-like image and improved performance. 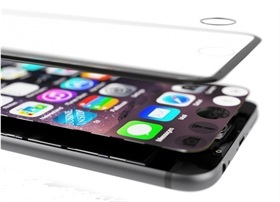 iPhone 7/Plus will see a slightly improved battery life. Apple announced that iPhone 7 will stay 2 hours longer than iPhone 6S, and 1 hour more for iPhone 7 Plus compared with iPhone 6S Plus. That is to say, you can freely download movies to iPhone 7 for offline playback. But when it comes to iPhone 7 vs 7 Plus, difference also comes in battery life. It is said that to meet the greater power demands of the larger and crisper screen in iPhone 7 Plus, a larger battery, up to two hours longer than that of iPhone 7, will be seen in iPhone 7 Plus. Good news for iPhone 7 Plus, but iPhone 7 users may still need battery life saving tips. The last factor in the iPhone 7 and 7 Plus comparison is the prices of the two versions. 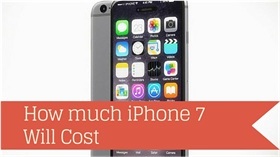 Both iPhone 7 and 7 Plus carry a hefty price tag, so it's vital to compare iPhone 7 and 7 Plus specs carefully to make your right decision. According to the prices of its predecessors, the iPhone 7 may start at $649 and goes up to $849 for high end, while the iPhone 7 Plus will be priced from $749 up to $949. However, if the storage of iPhone 7 increase, the starting price will increase accordingly. Verdict: Both iPhone 7 and iPhone 7 Plus are significant upgrades on the previous models. But through the above iPhone 7 vs 7 Plus comparison we can see that iPhone 7 Plus has a big edge in aspects like camera and battery life but it also comes at higher price. While iPhone 7 is advanced enough, much cheaper and just right fit for one hand. iPhone 7 or 7 Plus, it's still your move. This iPhone SE vs iPhone 7 vs iPhone 6 comparison centers on the difference between iPhone SE and iPhone 7/6. Learn the iPhone 7 vs iPhone SE differences/advantages in display, battery life, design and more. MacX Video Converter Pro is an all-in-one video converter for iPhone 7 & iPhone Plus to free download & convert videos MKV AVI FLV WMV to iPhone supported formats so as to watch videos movies anywhere anytime.